**With Renown Health Products’ PCDP, you’ll never have to worry about ever running out. You will receive your 1, 3, or 6 month supply shipped directly to you on the schedule you choose at the same low discounted rate every time guaranteed, and we will cover the shipping and processing. * That is a savings well over 10%. Your credit card will be billed at the time of each future shipment. 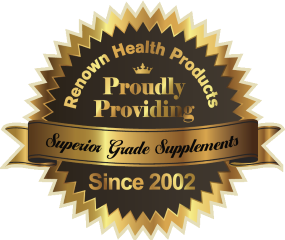 You may cancel your participation in Renown Health Products’ Preferred Customer Discount Program at any time by calling our customer service department at 1-866-482-6678 or 1-561-750-1418.